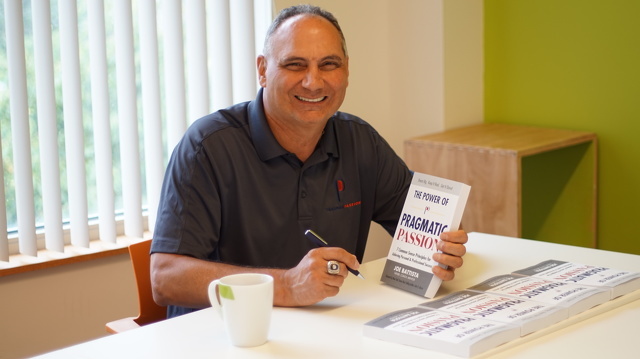 Joe Battista's book, The Power of Pragmatic Passion, is available now. At last… it’s done. It’s here. It’s actually for sale. My book is finally available at my website at pragmaticpassion.com and on Amazon. I hope you will allow me this shameless (but passionate) promotion for my new book, “The Power of Pragmatic Passion,” because it feels awesome. You may have seen the Heinz ketchup commercial set to Etta James' classic song “At Last.” Her velvet voice sings “Aaaaaat laaaaaaaaaast...” as the ketchup slowly pours from the glass bottle until it finally lands on a plate of golden brown french fries. Well, that about sums up my feelings when I first opened the box with the finished copies of my book. I had a wonderful sense of achievement of another dream come true. It came true by applying the 7 Common Sense Principles I write about in the book. The acronym PASSION makes it easier to remember the principles: Purpose, Attitude, Sacrifice, Servant Leadership, Inspiration, Options, and Nurture. Dream big. Keep it real. Get it done. After celebrating the completion of the book with a few family and friends, my attention quickly shifts to the next steps. Now the real work (and fun) begins. I am really looking forward to this part of the journey — to see how many lives might be positively impacted by the time, energy, research and effort that went into the book. By sharing my life experiences that can help others to develop better options and make more informed decisions. So why would you want to take the time to read “The Power of Pragmatic Passion?” Because, despite what a myriad of books, podcasts, YouTube pump-up videos and motivational speakers tell you, I firmly believe that passion alone is simply not enough and that unrealistic dreams are simply fantasy. It is only through a deeper understanding of what really matters in your life, analyzing your own skills and knowledge, creating a vision for your future and having the discipline and determination to act on your plans that your dreams will come true. Do I have all the answers? Absolutely not, since no one person does. Is it because I have impeccable academic research qualifications? Well, not really. I did consult with numerous experts and did my own research, but I also relied on intuition and real life experiences. I’d like you to read it because I am an ordinary Joe who has enjoyed extraordinary experiences in my life and I want to share some of the best lessons learned to help others achieve their own successes. It’s because I have lived through many of the anxieties, the triumphs, the disappointments and the exhilarations of life. I have experienced the worrying about tough choices, the rebounding from bad decisions and the feelings of sheer joy of ordinary moments turned extraordinary. You may want to read this book precisely because you have flaws just like me. Perhaps you are looking for an affirmation that it’s O.K. to make mistakes, ask for help, learn from your mistakes, and to use your critical thinking skills to make better choices and decisions in your personal and professional lives. I heard that advice from John, I heard it from my friends and family, and I read about it in books on how to write books. However, I think that any author will tell you that when it’s your own book, you want to make sure it’s absolutely the best you can do and you feel like you want to give your reader above and beyond what they might expect. Besides the explanation of the 7 Principles, there are probing questions and short exercises to make you think deeper about what really matters to you at your particular stage of life. You will be asked to choose an accountability partner to help you through the book. You’ll be encouraged to do a “digital detox” while reading the book so you can stay focused on making the changes you seek. There are “Pragmatic Points” and “Passion Points” and there are additional tips and suggested readings. Thanks to my wife’s insistence, there are even photos and captions. (Although she claims there are not enough.) Don’t be intimidated or turned off by the number of pages. The print is larger and double-spaced so young and old alike can easily read the material. My favorite parts of the book are the “Real Life 101” examples that appear throughout. Amazing stories of people like: Scott Shirley, who was in his dream job, but due to the death of his father, he found a new PURPOSE, switched careers and created a charity, Uplifting Athletes, to honor his father; James McDuffie, who made it out of one of the worst inner city environments because of his ATTITUDE to become the “Vice President of Hugs” at the Buffalo Sabres Arena; Matt Seybert, who was diagnosed with leukemia, but who, along with his family, showed incredible resilience and made the SACRIFICES to beat the odds and twice survived pediatric cancer; my own example of what it really means to show SERVANT LEADERSHIP when the stakes are at their highest; Scott Martin, a young man who I once mentored and who is now providing INSPIRATION to others as a mentor himself; Laura Ann and David Saxe who developed great OPTIONS and made informed decisions that turned a purpose for serving others, into successful careers that allowed them to pursue their passion for the theater; and Dr. Jason Engerman’s passion to help NURTURE the next generation of students by embracing technology and changing the way we educate our youth. This book is meant for anyone in a transition phase of his or her life, whether it’s from high school to post-secondary education, to starting a first job, to advancing in a career, to making a career change, to finding a meaningful post-retirement activity. It’s all about developing better options and making more informed choices. Dream big. Keep it real. Get it done. So now it’s my time to apply the 7 Principles in the book to coach, mentor, instruct and speak to individuals, groups, teams, companies, associations and organizations. Whether it’s a keynote or workshop for a company, executive coaching for former professional and college athletes, coaching students and their parents about next steps after high school, helping to guide individuals through career transitions, or assisting retirees in finding the next fulfilling purpose for their lives, it’s time to use the “The Power of Pragmatic Passion” for the greater good. At last! 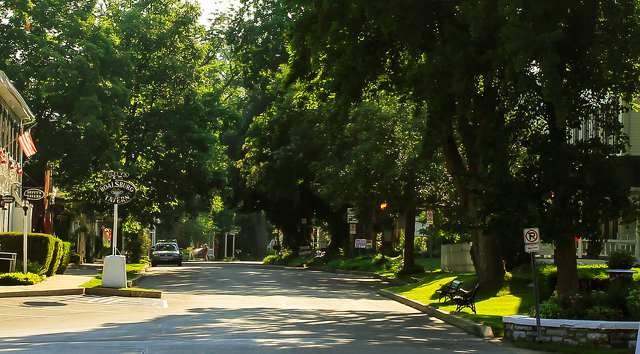 Harris Township has earned Sustainable Pennsylvania Community gold certification, recognizing the township among high-performing municipalities for sustainability practices in the commonwealth. The township earned the certification for meeting criteria that track 131 policies and practices that define a sustainable community through operations, management and public service.